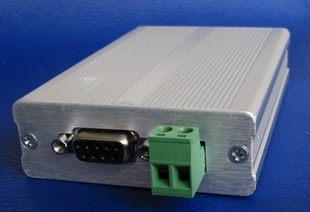 The RS232 data logger is an intelligent serial port data logger device which can be used for data gathering,data recording and data processing in flushbonading system and industry control. 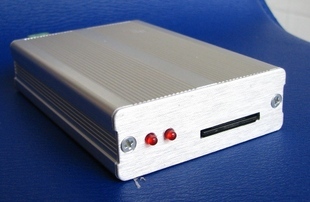 Only by serial port(RS232,RS485,etc),its data can be easily stored into SD for further processing. The RS232 data logger provides transparent data transmission and no need other special protocol, only your device can support serial port or have been equipped with serial port, our RS232 data logger or other seirla port data logger can be used with your device. And we can change our to be integrated with your system if you have such request. 1.Operate by command. After power, all data received will be analysed.If data meet communication protocol, it will operate the file as request of communication protocol. This method can be used for file reading,writing and modifying. 2.Direct storing. If data received can’t meet communication protocol, the RS232 data logger will automatically store all of data to files created by system. 5).Storing file name can be user-defined which is suitable for data managing. 6).Can automatically create storing file at regular time. (The default is to create a new data storing file each 24h. 9).Push-push SIM base,stronger anti-knock functon. 10).Adapt industry class high-performance processor. Stable performance and strong processing function. 1).Small size and light.Industry-class aluminium alloy enclosure,better protecting. 3).Support SD card with partition. Can support the Max 32G. 4).ARM hardware platform.Quick speed of reading and writing. 6).Open connection port. Only use simple protocol to do more complicated file operation. 7).Power supply: DC7-36V. For lower power, it can be specially made as request. 8).Support hot plug-in. No need to reset while replacing SD card. 9)Super-speed parallel processing method. Make Max data processed can be over 10 per second. 2.LED2 is system status light. 3.Press button for 5 S,baud rate will be back to default of 9600. Note: With RS232-RS485 converter, the RS232 data logger can be used as RS485 data logger.